Believe it or not, a hard drive that has been wiped clean can still be manipulated to extract the data it once contained. 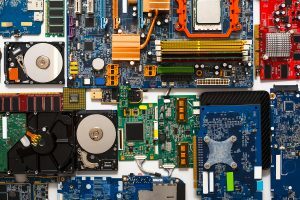 Hackers and identity thieves are obtaining old hard drives through used computer shops and even the trash in hopes of restoring some of your old data and using it for their nefarious, financial gain. Record Nations is partnered with local hard drive shredding companies that can thoroughly destroy hard drives along with other electronic storage devices to keep your information safe. Criminals and data thieves are on the lookout for old hard drives and other data-storing devices. 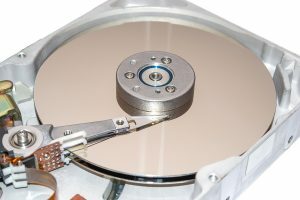 Certain types of software can extract previously stored information from hard drives, even after they’ve been deleted. deleted information can still be extracted with the right software. Only a destroyed device guarantees that no one will be able to use it in the future. a failed or dead hard drive can also be recovered. This may come in handy for accidents when you erase a file but is a bad characteristic for when it comes time to disposing of the device. hard drive and electronic waste disposal is actually regulated by law, meaning you shouldn’t dump large quantities into your normal trash. Shredders will recycle the parts after shredding. Record Nations finds local hard drive shredding companies in your area to adequately shred your hard drives and other electronic media devices. Record Nations provides your home or business with free quotes from qualified, local hard drive shredding services near you. We work to find the best deals on services you need so you save time and effort. To get your free, no-obligation quotes in just minutes, fill out the form on the right or give us a call at (866) 385-3706.